The Israel anti-drug organization runned social media campaign “Drugs set your timeline” to draw attention on increasing young adults prolonged drug use. Social prevention on drugs impact on life well-being was transmitted in quiet unusual way – facebook. The main idea was to show the comparison of one person whole quality of life depending on his choice to live with or without drugs. 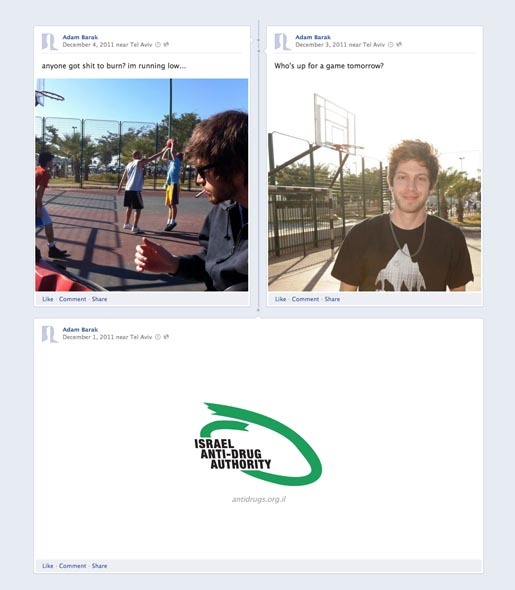 Facebook campaign was launched on January 2012. 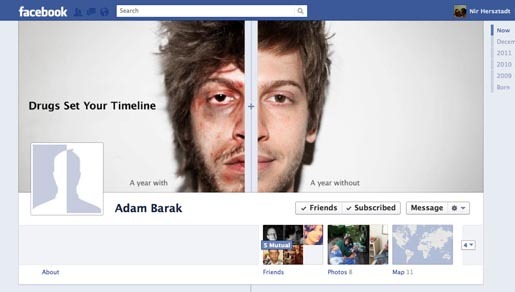 Israel anti-drug authority created fictitious Adam Barak facebook timeline profile to show 2 different ways of life. 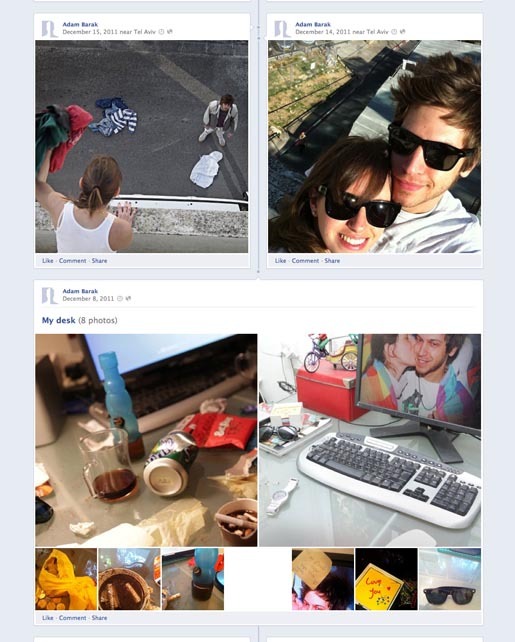 Adam’s facebook timeline was divided in 2 sides. On the left side – life with drugs and on the right side the same in life situations living drug-free. This let people retrace and realize the impact of different Adam’s choices to his happiness or failure. 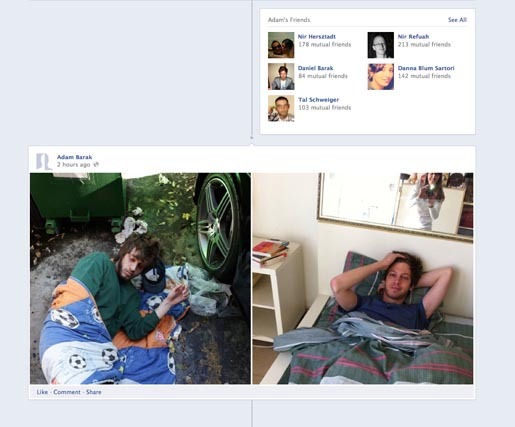 Because of facebook rules and regulations on fake profiles Adam Barak fictitious account was deleted. 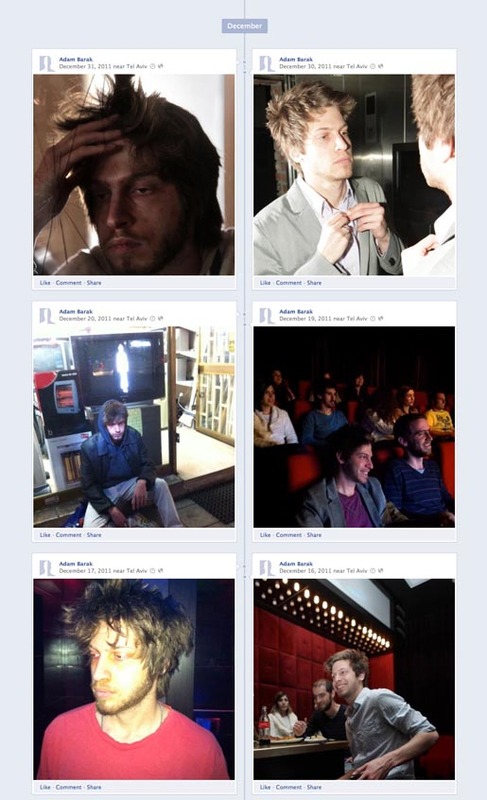 However we have some screenshots for you.